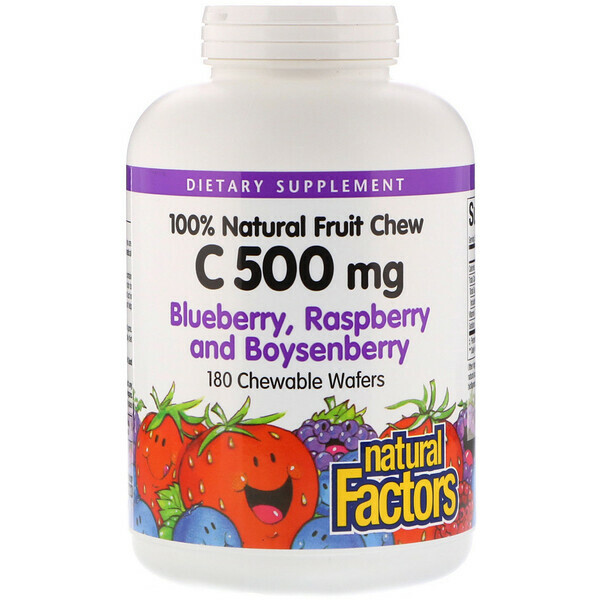 Delicious chewable vitamin C wafers are naturally fruit-flavored. Our vitamin C wafers contain 500 mg of vitamin C in a blend of citrus bioflavonoids, hesperidin, rosehips, and rutin to optimize the body's use of vitamin C. Bioflavonoids both enhance the absorption and act in synergy with vitamin C to provide antioxidant protection, keep collagen healthy, and help increase capillary strength. Vitamin C is a powerful antioxidant which supports healthy bones, cartilage, teeth, and gums. It helps protect cells against free radical damage and vitamin C deficiencies in the daily diet and supports healthy cell growth. Chew 1 wafer per day or as directed by a health professional. 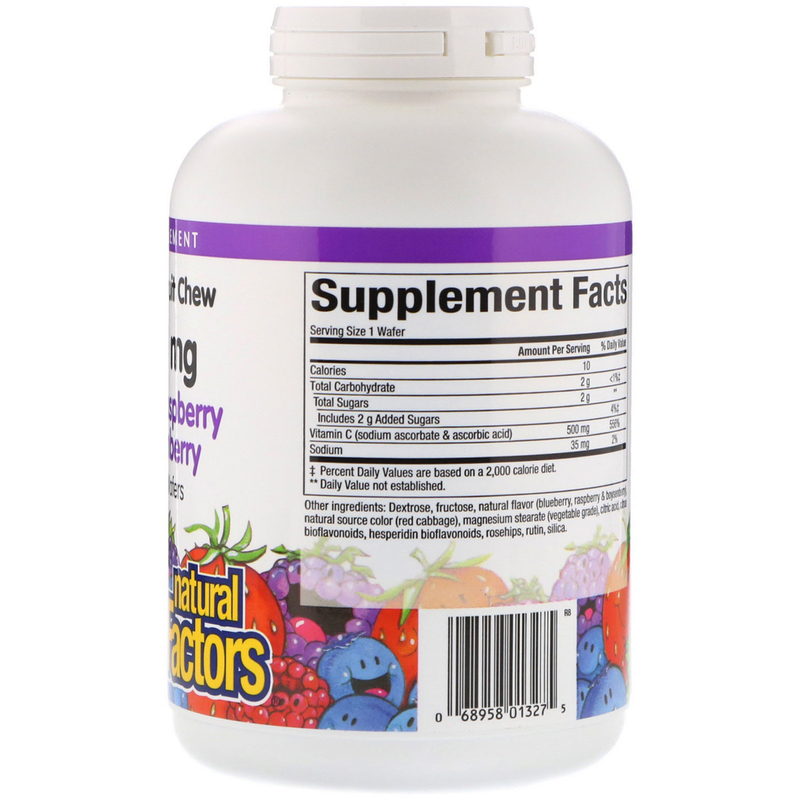 Dextrose, fructose, natural flavor (blueberry, raspberry & boysenberry), natural source color (red cabbage), magnesium stearate (vegetable grade), citric acid, citrus bioflavonoids, hesperidin bioflavonoids, rosehips, rutin, silica. Contains no artificial preservatives or sweeteners; no dairy, wheat, gluten, yeast, soy, egg, fish, shellfish, animal products, tree nuts, or GMO's.